Bringing you the latest news and events from Adhue Graphic Resources! We had a Great Time in Chicago! 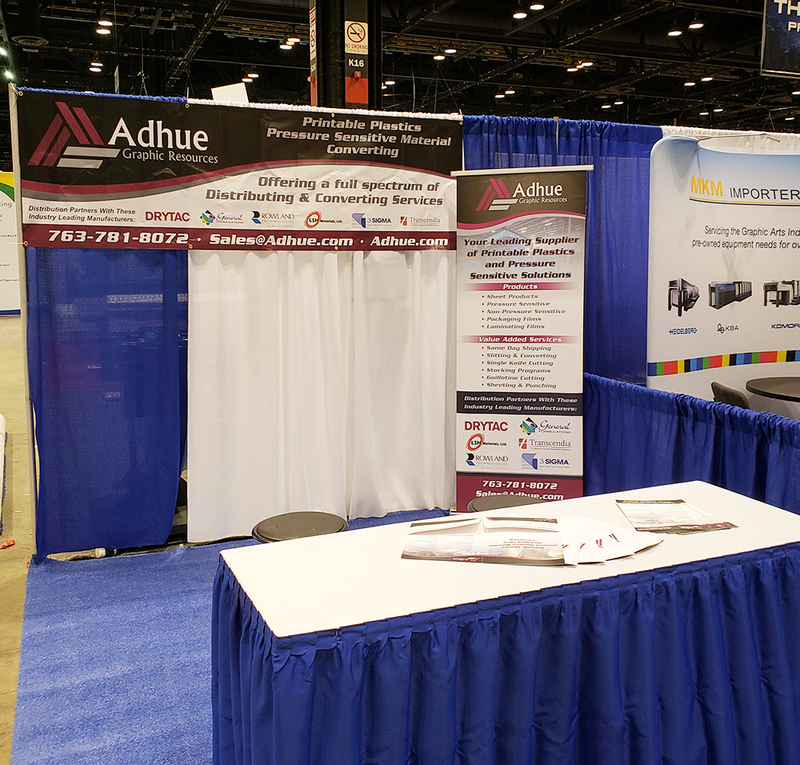 Thank you for visiting us at the PRINT 18 Trade Show! We appreciate you stopping by and saying hello! We would like to thank everyone who came by our booth at the PRINT18 Trade Show. We had a great time getting to see all of the various participants and visitors and are looking forward to next year. If you stopped by our booth and saw something that you were interested in or had a question about one of our products, please feel free to contact us. We would love to help find the perfect solution to your synthetic substrate or converting needs! Monday, May 21st was Adhue Graphic Resources Employee Appreciation day! Teaming up with our Partner Company, Plateworks Plus, we travelled to the Saint Paul Saints Baseball game where we got to cheer on a Saints 6-4 victory over the Chicago Dogs! And he's ready to do some slitting! Adhue Graphic Resources now has full materials slitting capabilities. Contact us and let us help find you the best solutions to your materials and printing projects. Adhue is proud to announce that we now have full slitting capabilities! In October of 2017, Adhue Graphic Resources acquired a new Kampf slitting machine the Adhue Production staff have dubbed "Shultz"! This new machine greatly increases our slitting and converting process capabilities. Check out our Slitting Page in the Services section for more information on the process.